My name is Whitney Birkett. I’m a curatorial intern assigned to do research for the Museum’s 2015 exhibition that will celebrate the 100th anniversary of the introduction of Pyrex cook ware. We’re all familiar with Pyrex brand glass. It’s in our kitchens. We bake with it. We measure with it. But did you know that Pyrex kitchen ware was developed by Corning Glass Works in 1915? The brand has been shaped by countless people and events over the past century. The Museum of Modern Art’s 1942-1943 exhibition Useful objects in Wartime under $10 included several Pyrex kitchen products. Because Pyrex products were glass, they conserved metal needed so desperately during the war years. 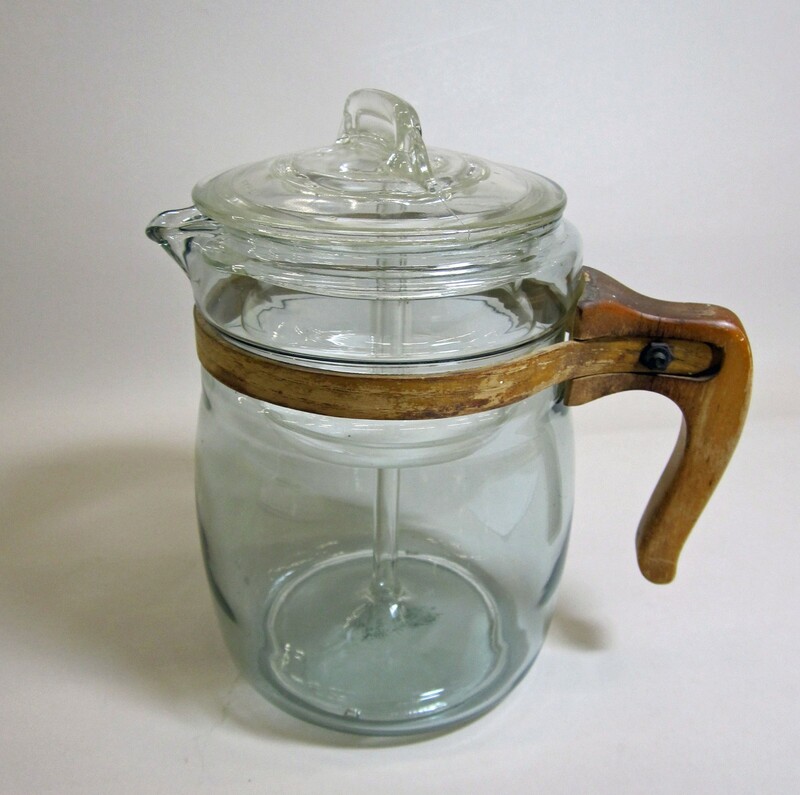 Corning cut down metal usage even more by replacing the original glass and metal handles on Pyrex flameware products with wooden ones. Corning worked to cut down on metal in other areas of the home, too. During the 1940s, they produced a number of experimental products including glass thimbles, glass coins, and glass bullets. None of these products were manufactured commercially, but The Corning Museum of Glass preserves examples in its permanent collection. 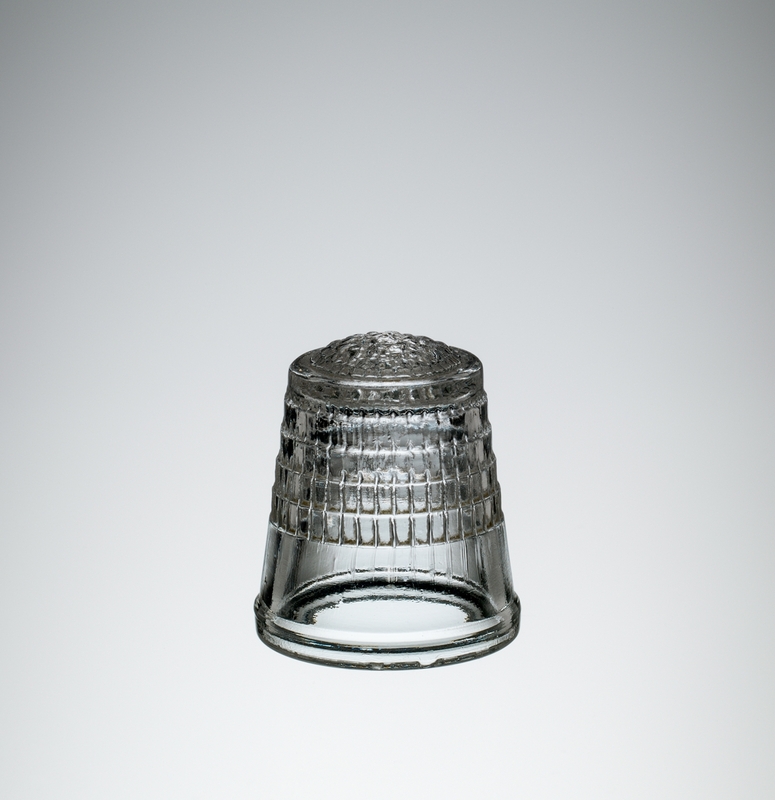 Glass thimble, Corning, NY, Corning Glass Works, about 1942-1945, H: 2.3 cm, D: 2 cm (69.4.176). Pyrex Coffee Pot, Corning, NY, Corning Glass Works, Paul V. Gardner (designer), about 1942-1945, H: 21 cm, W: 19.5 cm, D: 14 cm (2010.4.658). My favorite wartime Pyrex product is the Silver Streak electric iron designed in 1942-1943. Made in conjunction with the Yonkers-based Saunders Machine and Tool Corporation, they replaced much of the metal in typical irons with a durable glass body. Produced in red, blue, green, amber, and colorless glass, Silver Streak irons shone like gems. Unfortunately, they were not manufactured commercially until 1946, after the war was over. They were only sold for one year. The Museum has two complete examples of the Silver Streak (2005.4.22, 2013.4.31) and one Silver Streak iron insert (65.4.3) in its permanent collection. 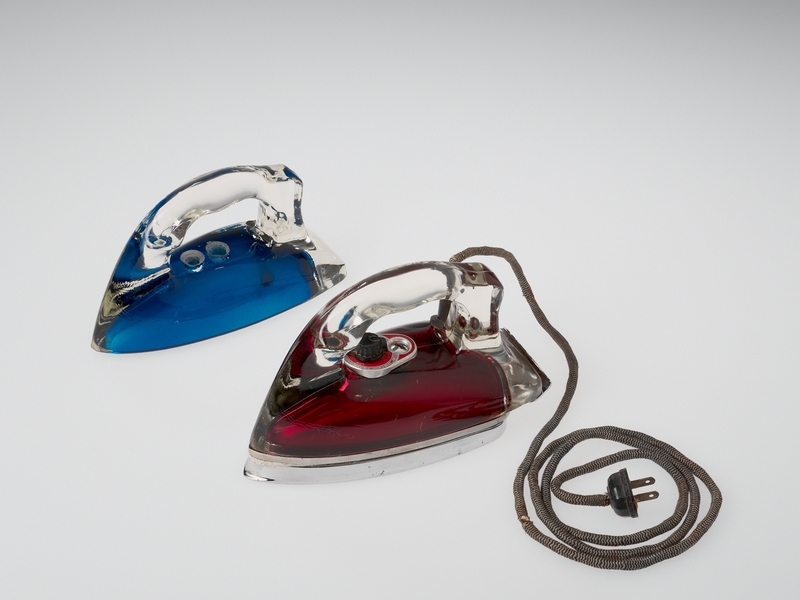 Silver Streak Iron Insert (blue) and Silver Streak Electric Iron (red), United States, Corning, NY, Corning Glass Works; Saunders Machine and Tool Corporation, made in 1946; designed in 1943; Blue: H: 11.7 cm, W: 21.6 cm, D: 9.6 cm; Red: H: 12.5 cm, W: 22.7 cm, W: 9.8 cm (65.4.3, gift of Otto Hilbert; 2005.4.22).